When we first received the Minos X3, the pricing wasn't initially apparent and it would be very easy to have assumed that it was a plain-Jane optical mouse that is sat in the no man's land of £30-40. 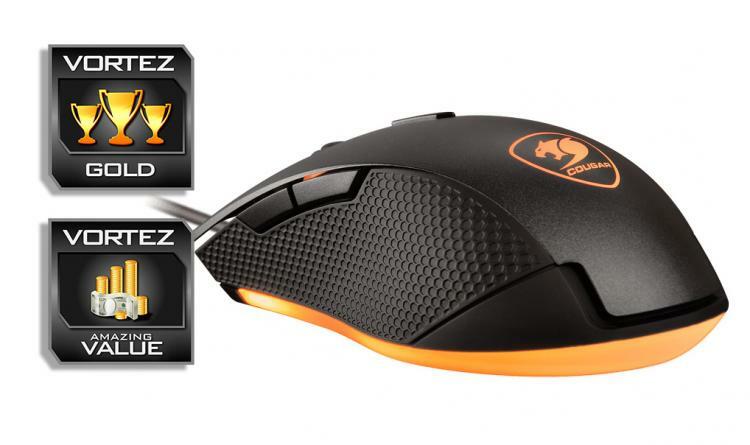 Its construction is solid with smooth plastic and rubberised grips, but lacks that slightly more premium finish of more expensive mice. despite that, it feels great to hold and the buttoons are responsive and tactile. Its sensor provides reliable and accurate performance in and out of games, to which is almost the idealised implementation of the PWM 3310 sensor. It is at this point where we comprehend the price tag of £25... wait, what!? This is actually a fantastically competitive move by Cougar, and what we assume has happened is something rather logical, something we have seen previously with the GIGABYTE XM300 (and the 3988 sensor). That is, they have taken a high quality optical sensor that was the staple of the mid to high end gaming mice in the past, and have brought them to the entry level market. If you take a older high grade optical sensor (that has likely fallen in production costs) and assume you get the implementation spot on in regards to its performance, and then place it in a relatively neutral, well made shell, you could create a no brainer mouse that would satisfy the needs of all gamers, from beginners to Pros. That is exactly what Cougar have done with the Minos X3. Sure, the PWM3310 may not have the all-terrain conquering ability of the latest optical sensors (3320/3330/3360), but that isn't really much to consider when the majority of people will pair their gaming mouse with a gaming mouse mat. The only people that may want to avoid this mouse would be those that specifically desire a mouse that is bigger, heavier, and features programmable/remappable buttons via software. For everyone else, if you are looking for a great quality mouse that will simply game, the Minos X3 should be the baseline you look to. Sometimes saying that a product is 'good for the price' is more of a condescension than it may actually deserve, that situation arises here also. The Minos X3 is a top-class gaming mouse that has been made affordable by removing just enough polish and grandeur found in its more expensive peers. This isn't just a mouse for those on a budget or are looking to save some money, it is also for those that realise they need nothing more.